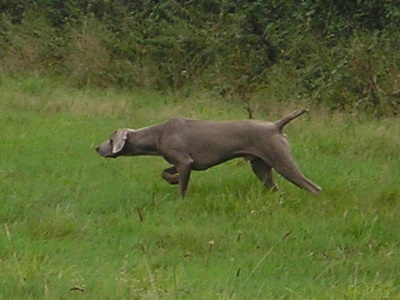 Weimaraners have been part of my life since 1989 and I never realised their potential until we moved to rural Somerset. I am now a confirmed believer that these dogs should be given an occupation of some form to reach their full potential and not be left at home for hours on end. They are a breed that thrive on human contact. I have owned and worked 11 Weimaraners across 6 generations. I currently have 3 dogs, ranging in age from 6 to 12. I can honestly say no two dogs are alike. I work them in the shooting field on local shoots and have competed in Pointing Tests, Gundog Working Tests, and Field Trails since 1994. I have also dabbled in obedience, agility, working trials and more than dabbled now in showing. I breed occasionally and hope to maintain temperament, character and type. Won 3 firsts in Field Trials, 2 in Novice Stake and 1 in an All Aged Stake and qualified for Open Stakes. Descending from my lines the youngest 'Spring Pointing Test' grading in Weimaraners was gained at just 7 1/2 months old. 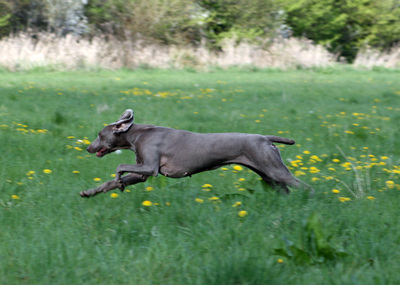 I have also won the Weimaraner Club of Great Britain, Weimaraner of the Year Award over 8 times with 5 different dogs. This is awarded to a dogs who gain points in the field and in the show ring. 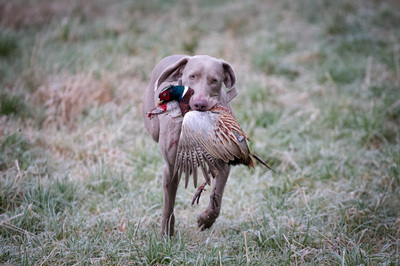 I am proud to say that many Aschfahl Weimaraners have gone on to work in the shooting field for their new owners. 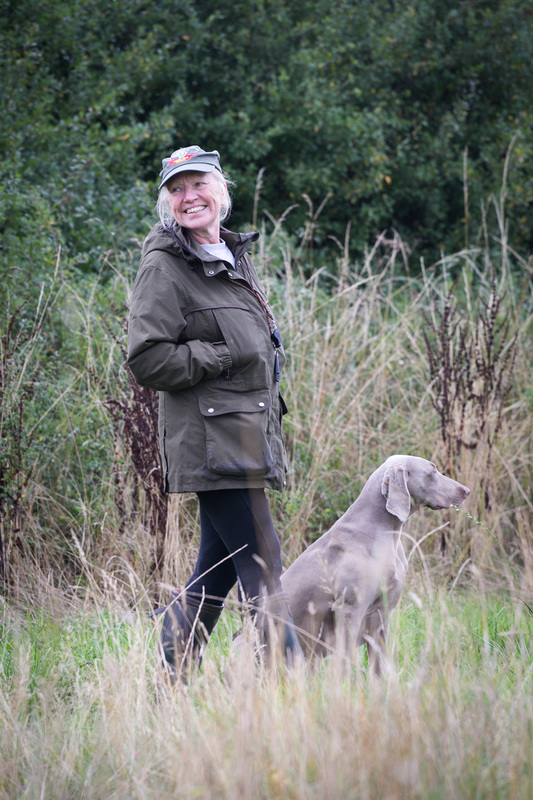 About me: I take gundog training classes in groups or 1-2-1 for Hunt Point Retriever breeds and I am a Kennel Club B-Panel Judge for Field Trial, Gundog Working Tests and Pointing Tests. I am also on the A3 Championship Show Judges list having passed all requirements and exams. My CV is extensive having served on many club committees; currently as Secretary and Treasurer for the Hunt Point Retrieve Field Trial Association and Acting Secretary of the Bristol and West Working Gundog Society. Previously I was the Field Trial Secretary for the BWWGS for 10 years, and have been Chairman and committee member of the Westbury and District Canine Club. Hunt out the history page to hear the hunting horns that are played at the start of the hunting day in Central Europe. The dogs join in, howling, as they anticipate what the day ahead will bring. We are custodians of the breed for such a short time. It is our responsibility to maintain their characteristics.